Who doesn't crave for a delicious biryani with a spicy paneer side dish as their dinner. Probably not every singe day, but think about those special occasions or those lazy sunday afternoons with a tiny little caveat - without spending much time in the kitchen. 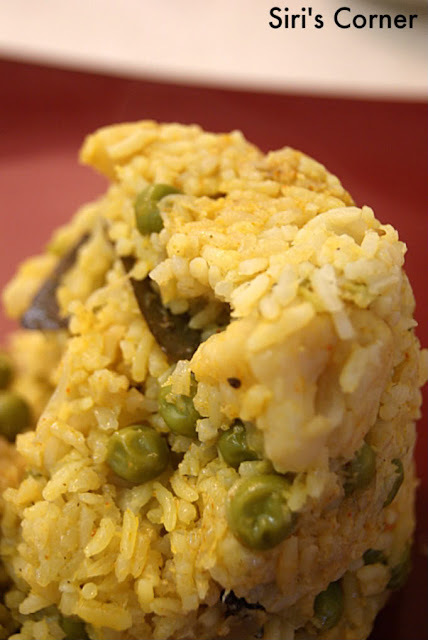 For all of those, Nags's Vegetable Biryani is the answer. The best part, it can be made in pressure cooker. And the spice paste is the absolute highlight. Sorry, the pic is not doing any justice to how good it tastes. :). Summer is almost over and so is an end to our mango-fetish!. 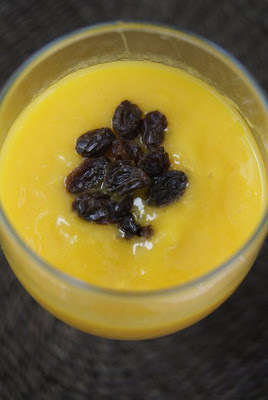 Let's say adieu to the beloved summer with a quicky yet delicious smoothie, Shall we?...all those ripened bananas over your stove top counter, blend them all with that last mango-bounty with a tiny hint of orange juice to enjoy this delectable smoothie. Top them with fancy chia seeds like she did or some raisins like I did, walk into that sunny balcony one last time, spread our your legs onto a comfortable chair, pick up a book and let yourself soaked in. :). Happy last few days of summer to all of you. Click here to check out other recipes that were featured in YRTML segment. Cool recipes! I have updated my blog with the win frm MLLA. Can you guys see the biryani pic now? oh man! this looks so delicious!